Ontario wants to merge the Ontario Power Authority and the Independent Electricity System Operator into a single organization that the province says would save ratepayers millions of dollars a year and better meet today's electricity supply needs. Learn more. Installation made easy with our ''unique'' wireless pushbutton. Save installation time by using the wireless and batteryless Harmony XB5R pushbutton. This new offer provides savings in both installation time and costs by totally eliminating cabling and associated accessories between the pushbutton and the electrical cabinet. 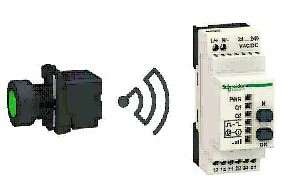 Harmony, the guarantee of a worldwide recognised range The quality of the Harmony range products and worldwide experience of Schneider Electric within the pushbutton domain, provides you with the assurance of a product combining both innovation and reliability. Suited to your needs, it enables you to considerably reduce installation and maintenance costs which, in turn, increases productivity.